Your life is about to become a lot easier! 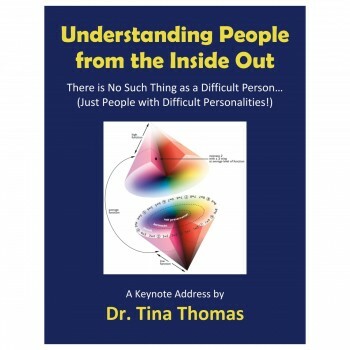 In this 90-minute keynote address, Dr. Tina Thomas teaches how to “speak” the language of the nine basic personalities. This includes learning the basic motivation and fears of each of those personalities. With this understanding and a few basic guidelines you will find your personal and work relationships much less frustrating and potentially downright fun! In addition to improving your ability to communicate this information decreases stress and increases your ability to manifest. Personality is initially the result of the set point of high, medium and low levels of three main chemicals in the brain. Those chemicals (and therefore personality) can be affected by many factors including food, exercise, stress etc. When you understand the basic the nine basic personality types it is much easier to understand oneself and others and therefore you will experience less stress and become a better communicator. 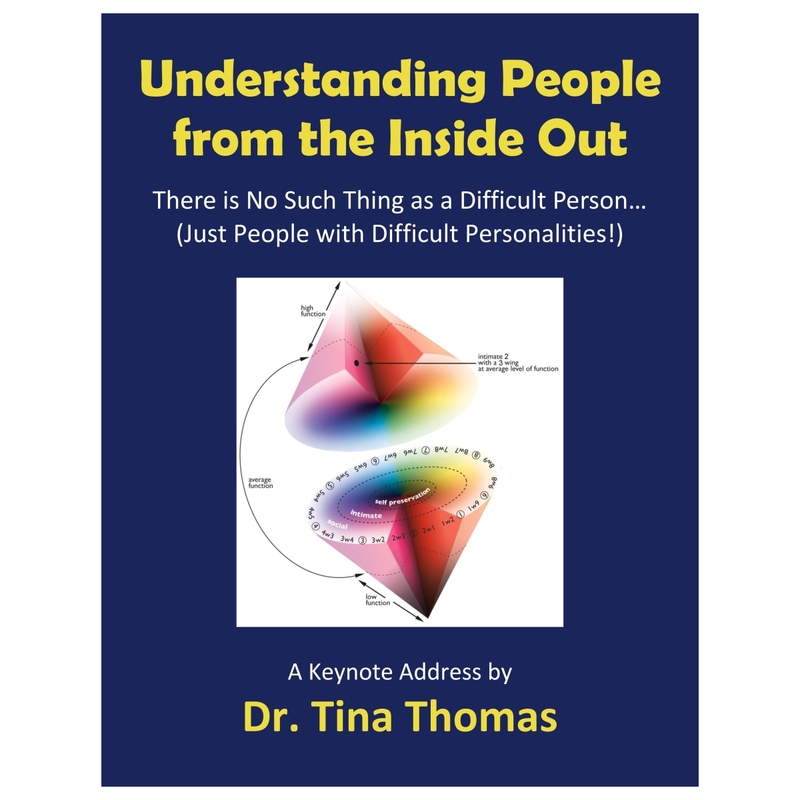 Dr. Tina Thomas presents this cutting-edge information in an entertaining way; includes questions and answers and audience participation. In addition, she has a photo rich (minimal words) PowerPoint presentation with examples that makes the concepts easy to grasp and then immediately apply this information to your understanding of yourself and others. Presented in a rich multimedia format, Dr. Thomas’ 90-minute keynote address is available for viewing in its entirety, as well as being available in 12 sections. The sections are divided by subject matter. Brief descriptions of each section are provided for easy selection of any section for review. Also included are the handouts that the audience received during Dr. Thomas’ presentation.